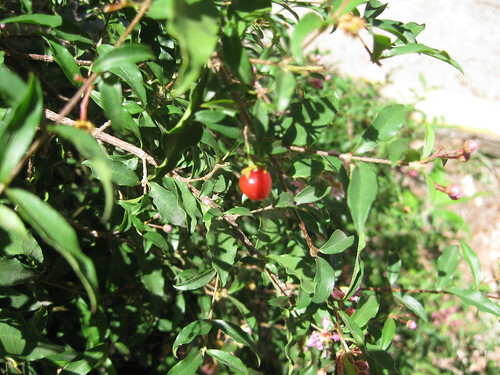 Barbados cherry shrub. Under ideal conditions they can get 8' tall and 5' across. Close-ups of the Barbados cherry flowers. Barbados cherries originally come from the Caribbean. When it was discovered a single berry contains the daily recommended dose of vitamin C it was quickly adopted by navies to help against scurvy and so planted in many places. 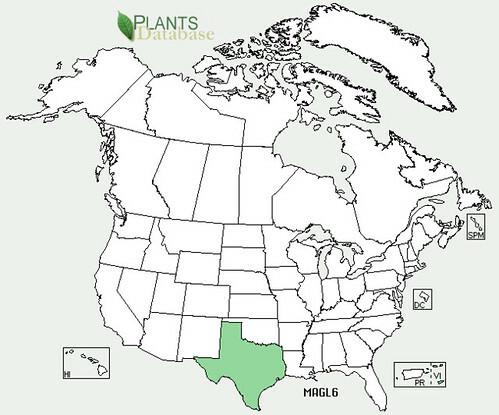 The plant doesn't handle cold well, though it does fine in normal Southern winters if only a few hard frosts occur. 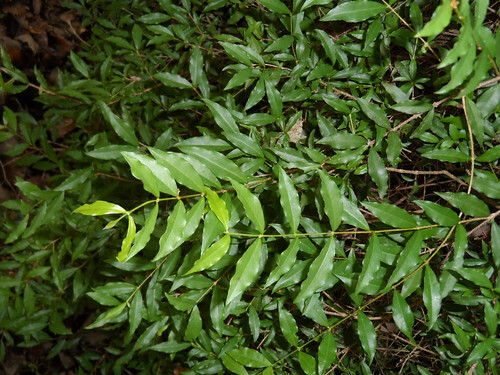 They are evergreen, which increases their appeal in landscapes. The flowers can be eaten raw or used to make tea. However, it is best to leave the flowers alone so as to maximize fruit production. The fruit starts appearing in May and will continue to appear waves through the winter if the weather is mild. These berries range in flavor from somewhat sweet to very acidic, with the higher acid content also having the higher vitamin C. Eat the berries raw if they aren't too sour/acidic, otherwise use them in jelly, jam, juice or wine. 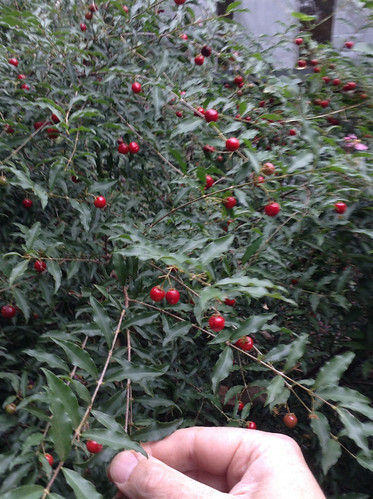 Many plant nurseries have Barbados cherries for sale. Plant in sunny, well-drained soil but do keep them watered. A layer of mulch will help prevent the roots from drying out. 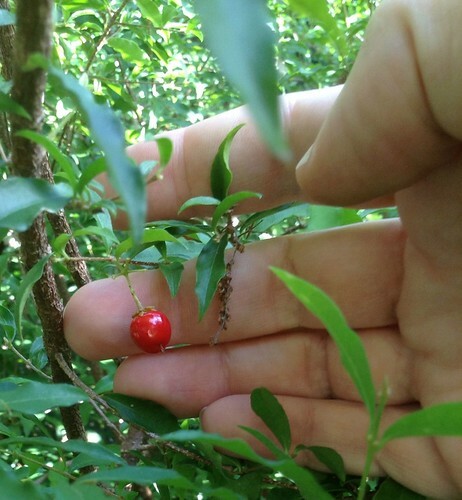 Single plants will produce berries but the fruit production will be much higher if two or more Barbados cherries of different varieties are planted within 4-16 feet of each other for cross-pollination.